For all of our frequently asked questions about the Deputy Kiosk, check out this guide. This article outlines the most frequently asked questions we've received about our Deputy iPad Kiosk, including setup, retrieving your PIN, offline/connection settings, and facial recognition. Is the Kiosk available on Android tablets? Can I setup a Kiosk on a computer? Yes you can. Simply follow the steps in this help doc to set up the web kiosk. We advise you speak to a Customer Support representative while setting up the web kiosk. What version is the Kiosk compatible with? What type of iPad do I need to have to run the Deputy iPad Kiosk? The Deputy Kiosk is available on iPad devices with a camera running iOS10+, the iPod Touch 6th Gen, and iPhone 5 onwards. The Kiosk is also available for Android tablets as a BETA. It is also available for Android tablets running Android 4.0.3 (Ice Cream Sandwich) and up. Please note that this is still a beta version and currently only supports basic timeclock functionality. Where do I get the Kiosk PIN for employees? You cannot get another employee's PIN. 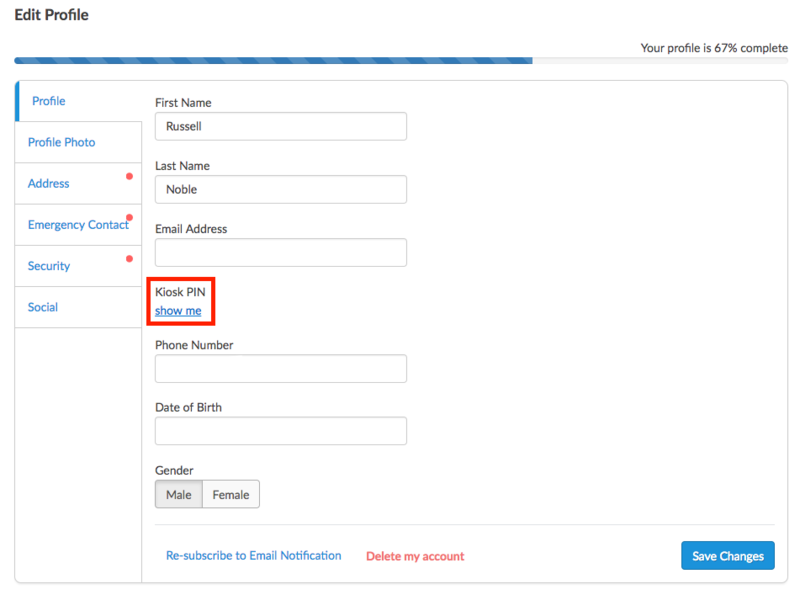 To retrieve your own PIN, navigate to once.deputy.com and click 'Edit Profile'. On the following page, click 'Show Me' to reveal your PIN. Can I setup ONE kiosk for ALL locations? Unfortunately, when you log into the Deputy iPad Kiosk, you can only select one location during setup. Can I setup MULTIPLE kiosks for ONE location? Yes, you can set up multiple kiosks for a single location. Does the Kiosk use facial recognition? 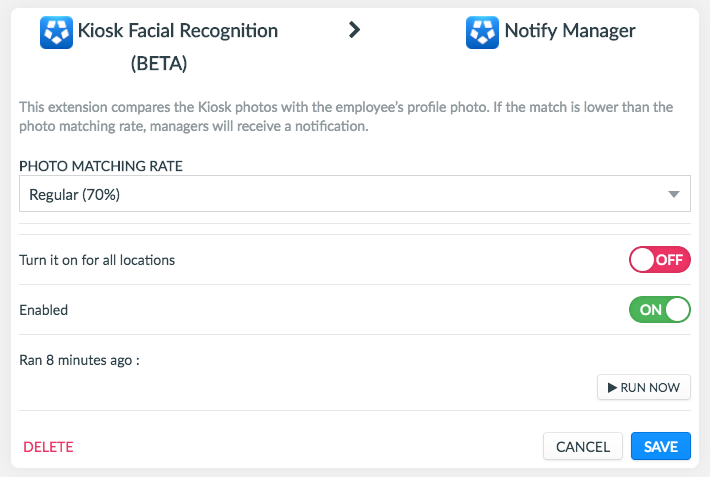 The Kiosk can be set up to take a photo once it recognises a face when starting a shift (as opposed to a countdown when taking a photo). 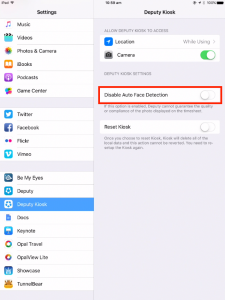 To do this, open up your iPad settings and search for the Deputy Kiosk section. Toggle 'Disable Auto Face Detection' based on your preference. You can find this as a Deputy Extension via the 'Integrations' tab in Location Settings. Why does the Kiosk say that it is offline? There may be an internet connection issue with your iPad. Check your device's internet settings. You can also restart your iPad (long press on the power button).